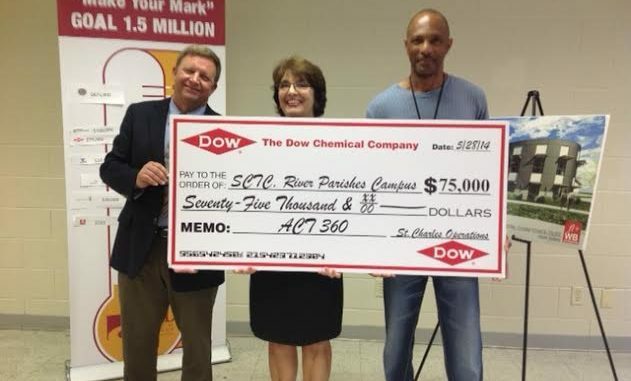 South Central Louisiana Technical College received a donation from DOW in the amount of $75,000 for the college’s expansion project. To date, St. John the Baptist Parish, Marathon Petroleum, ArcelorMittal, Air Products, Valero, DOW, Monsanto and Associated Terminals have donated toward the college’s expansion campaign. With only $322,500 remaining, SCL is working to reach their goal of $1.5 million.